This entry was posted on June 28, 2015 by Andie Pantazi. When you work four or more years at a degree and finally achieve it, it is time to celebrate. Many students celebrate by inviting loved ones to attend with formal invitations. Because graduation is a big deal, there are certain rules of etiquette you should follow when inviting people to your graduation. When you mail graduation invitations, you will have two envelopes. The inner envelope will hold your actual announcement. This inner envelope can be addressed informally, such as "Grandma" or "Aunt Irene". The outer envelope is the mailing envelope. This envelope will protect the formal invite and inner envelope during mailing. This envelope should be formally addressed with the invitee’s name, address and your return address. Spell out words rather than using abbreviations. For example, spell out “Street rather” than abbreviating it “St.” Be sure to write your return address or use a pre-printed return address label so out-of-town guests can send cards and gifts. When organizing and mailing your invitations, start by slipping the formal announcement face up into the small inner envelope. Do not lick the flap and seal this envelope. You can use a seal, however. Slip the inner envelope into the mailing envelope with both flaps facing the same way. If you are hosting a graduation party as well, you can also insert your party invitation as well. When it comes time to mail you announcement, use first class mail. Be sure to mail them so they arrive at least two weeks prior to the ceremony and/or party. Along with following proper etiquette when mailing graduation invitations, it is also important to include an attractive announcement. Traditionally, graduation announcements have been formal cardstock announcements without much imagination. Today, this old tradition has been thrown out for colorful, personal and fun announcements. Bestbuttman offers a wide range of announcements, from our Picture Seal Announcement, which prominently features your photo, to our more traditional Elegant Graduation Announcement, which offers classic style, font and wording. Bestbuttman is excited to help you personalize your graduation invitations. Without our easy online service, you can choose any template and make it your own. 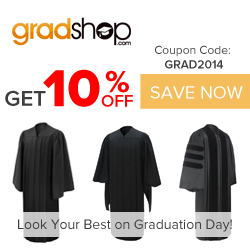 Add your graduation photo, choose your favorite font and colors, and edit the wording so it is 100 percent you. When you choose Bestbuttman as you premier graduation supplier, you will get quality and personalized graduation announcements at a great price! This entry was posted in Graduation Party Invitations on June 28, 2015 by Andie Pantazi. Узнайте про интересный веб сайт , он рассказывает про www.220km.com.